Create a stunning impact with our upvc(pvcu) BI-FOLD sliding doors. 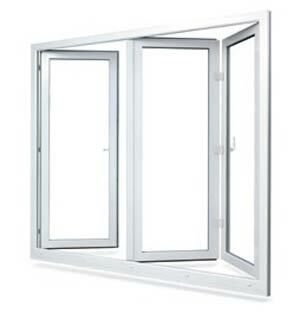 We are pleased to introduce the Profile 22 multi fold door-the door to extend interior to exterior of your property. The Profile 22 Bi folding door is available in a number of configurations to suit your home.Boasting superior engineering design to give outstanding versatility and complement your property and lifestyle. Your BIFOLD DOOR will glide easily on its stainless steel track and rollers, making opening and closing effortless.requiring little maintenance these doors really do bring the garden into your room. upvc Bi-Folding Doors- glass doors fold all the way back giving an uniterupted opening making excellent Room Dividers unlike our french doors and patio doors if this is what you would like our bi folding glass doors would be our recommendation .We are more than happy to supply you with a free estimate.Any company can provide you cheap replacement upvc bifold doors, cheap Bi Folding Doors very often do not come with the features and benefits of upvc Folding Doors installed by us and very often many are not Fensa registered.We will be happy to provide an estimate for you to compare our prices and are sure you will be amazed at the cost and quality of our product.